ARLINGTON, VA; APRIL 3, 2013 – How did the human body become the complicated, quirky machine it is today? The answers can be traced back hundreds of millions of years. PBS announces an ambitious new three-part series, YOUR INNER FISH, which will air in 2014 on PBS stations and will explore the science of how and why we are the way we are. 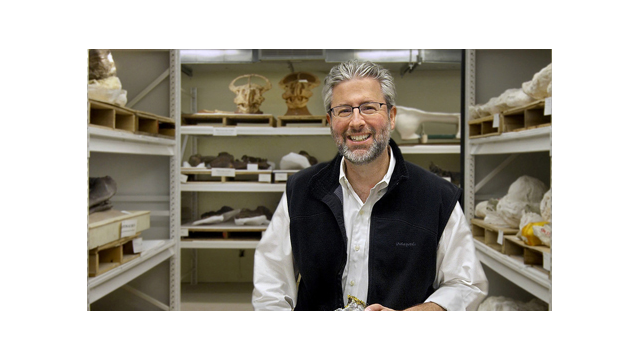 Produced by Tangled Bank Studios (whose award-winning head of television and film, Michael Rosenfeld, gives the MIPDoc keynote speech, “Reinventing Science Television,” on April 6), the series is based on the best-selling book by leading paleontologist Dr. Neil Shubin. In taking viewers on a cutting-edge, scientific adventure, YOUR INNER FISH reveals a startling truth: hidden within the human body is a history of life on Earth. The human body carries the legacy of animals that lived millions of years ago, and from whom we inherited our most remarkable features, as well as some of our strangest quirks. Each hour of YOUR INNER FISH assembles evidence from comparative anatomy, fossils, genetics and embryology to solve the mystery of why we’re built the way we are. YOUR INNER FISH is produced by Tangled Bank Studios in collaboration with award-winning producer David Dugan, founder of the U.K.-based production company Windfall Films. Shubin’s book, Your Inner Fish: A Journey Into the 3.5-Billion-Year History of the Human Body, was published in 2009. Shubin is an American paleontologist and evolutionary biologist, a professor at the University of Chicago and a former provost of the Field Museum of Natural History. Tangled Bank Studios, LLC, is a production company dedicated to the creation of original science documentaries for broadcast, theatrical and digital distribution. Founded in 2012 by the Howard Hughes Medical Institute as an extension of its longstanding science education mission, the company aims to produce programs that capture compelling stories of discovery across all branches of scientific inquiry. Headquartered in Chevy Chase, MD, Tangled Bank Studios partners with producers, broadcasters and distributors around the world. More information about Tangled Bank Studios is available at www.tangledbankstudios.org, or by following Tangled Bank Studios on Twitter. PBS, with its over 350 member stations, offers all Americans the opportunity to explore new ideas and new worlds through television and online content. Each month, PBS reaches nearly 120 million people through television and nearly 28 million people online, inviting them to experience the worlds of science, history, nature and public affairs; to hear diverse viewpoints; and to take front row seats to world-class drama and performances. PBS’ broad array of programs has been consistently honored by the industry’s most coveted award competitions. Teachers of children from pre-K through 12th grade turn to PBS for digital content and services that help bring classroom lessons to life. PBS’ premier children’s TV programming and its website, pbskids.org, are parents’ and teachers’ most trusted partners in inspiring and nurturing curiosity and love of learning in children. More information about PBS is available at www.pbs.org, one of the leading dot-org websites on the Internet, or by following PBS on Twitter, Facebook or through our apps for mobile devices. Specific program information and updates for press are available at pbs.org/pressroom or by following PBS Pressroom on Twitter.